Chloe is a trainee solicitor currently in her third seat with the Commercial Property team in Redhill. Chloe graduated from the University of Brighton in July 2016 and completed the Legal Practice Course at the University of Law in June 2018. 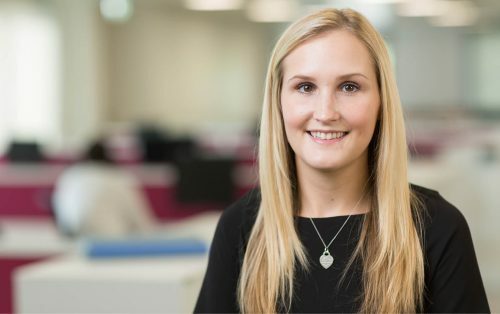 Chloe joined Morrisons as a paralegal in the Commercial Property team in June 2016 and commenced her training contract in September 2017. As a trainee, Chloe has already completed seats in the Employment and Dispute Resolution teams. In her final year of university Chloe took part in Client Interviewing competitions and was part of a team that made it to the final of the International Client Consultation competition in Canada. Chloe is a qualified TEFL teacher and has spent a summer teaching English in Phnom Penh. What does a training contract entail?